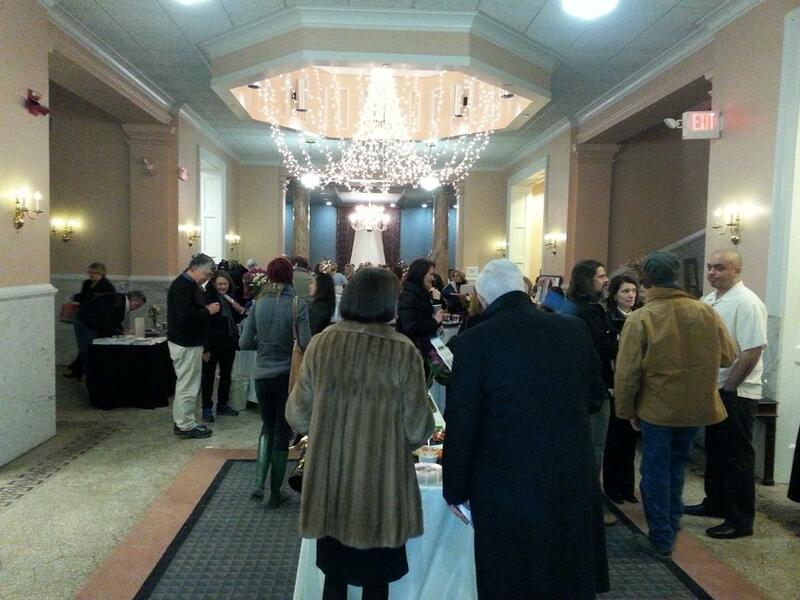 The Kentucky Writers Hall of Fame announced its 2014 Hall of Fame class at an induction ceremony on Thursday, January 23, 2014 at the Carnegie Center. This is the second class to be inducted. The seven new members of the 2014 Hall of Fame class were: children’s author Rebecca Caudill, best known for A Pocketful of Cricket and Tree of Freedom; University of Kentucky professor Thomas D. Clark, author of A History of Kentucky; novelist Janice Holt Giles, whose work focused on Kentucky historical fiction; James Baker Hall, a UK professor and Kentucky’s 2001 Poet Laureate; Affrilachian poet Etheridge Knight, whose work was strongly influenced by the Civil Rights Movement; Thomas Merton, a Trappist monk and one of the most prolific 20th century Catholic writers; and Jesse Stuart, known for his sonnets and focus on rural Appalachia. Selections from their work were read during a one hour ceremony before a live audience by Marcia Thornton Jones, Dr. James Klotter, Katerina Stoykova-Klemer, Sarah Wylie VanMeter, Jude McPherson, Eric Reece & Georgia Green Stamper. Carnegie Center Director Neil Chethik served as Master of Ceremonies, providing the introductions for each writer and reader. WUKY’s broadcast, which airs initially on March 1st at 2 pm was recorded by Chase Cavanaugh and produced by Tom Godell with assistance from Rusty Sharp. The program and this web page have been generously underwritten by our friends at the Morris Book Shop. 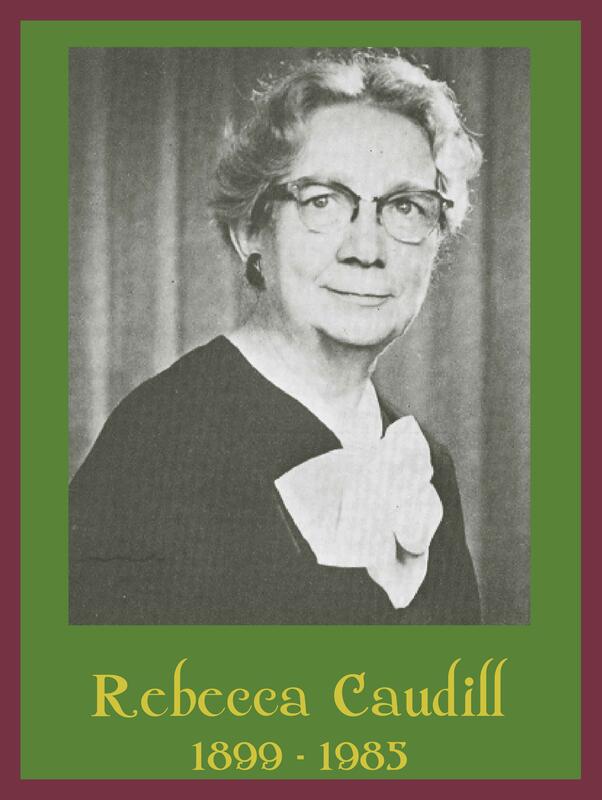 Rebecca Caudill is the Hall of Fame's first children's author. She was born in 1899 in Harlan County, the daughter of two teachers, and she became one herself. She did not publish her first book until she was 44 years old. But from then until her death in 1985, she wrote 21 more books. Many of them focused on pioneer life in Appalachia. In 1949, her middle-grade book, Tree of Freedom, was a Newberry Honor Book; 15 years later, her picture book, A Pocketful of Cricket was a Caldecott Honor Book. She spent much of her adult life in Illinois, where they now give an annual Award in her name for the most popular middle-grad book, as voted on by the kids. She once said: "The first essential in any book is that it have something significant to say. A good book sticks to your ribs." 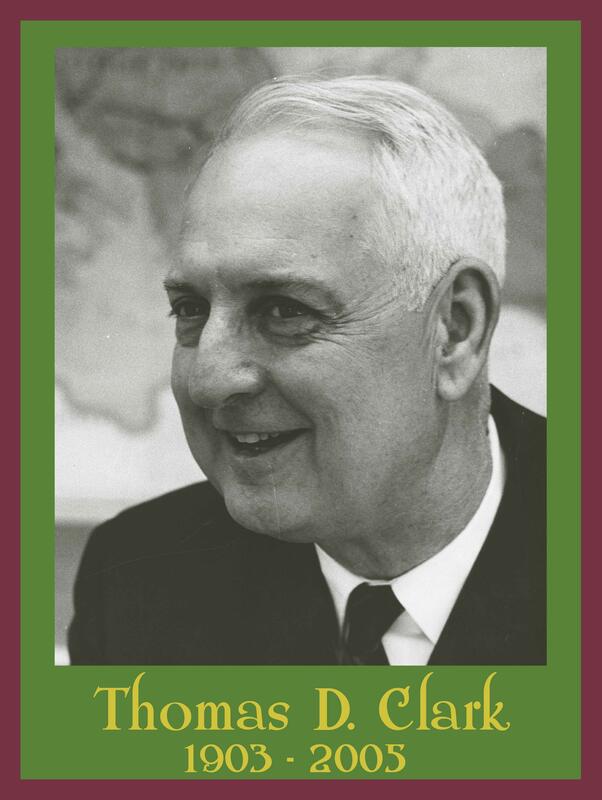 Thomas D. Clark was born in Mississippi in 1903. After working on farms, boats and sawmills in his teen years, he decided to get educated -- and he didn't stop until he had earned his doctorate in history at Duke University. Then he moved to the University of Kentucky, and for the next seven decades, he taught, researched, archived, collaborated and wrote. His first book was published in 1933; his last in 2002. Most were about his beloved adopted state, including A History of Kentucky and Kentucky, Land of Contrast. He helped found the University Press of Kentucky, the Kentucky History Center and the Lexington History Museum before his death in 2005, at the age of 101. 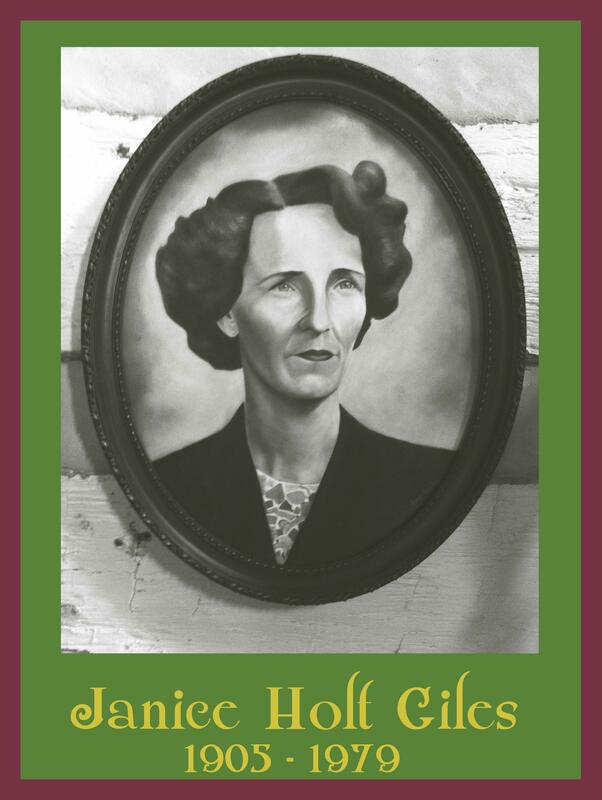 Janice Holt Giles was born in 1905 in Arkansas, and was -- like Rebecca Caudill -- the daughter of two teachers. In her mid-30s, she moved to Frankfort, Kentucky, for a job, and soon after, to Louisville. Then, in 1949, at the age of 44, she published her first piece of fiction, entitled The Enduring Hills. That same year, she moved with her husband to his family's land in Adair County, near the Kentucky/Tennessee border. And over the next quarter-century, she wrote or co-wrote 24 books, including The Kentuckians (1953), Hannah Fowler (1956), and The Believers (1957) -- all focused on 19th century life in Kentucky. She died in Adair County in 1986. 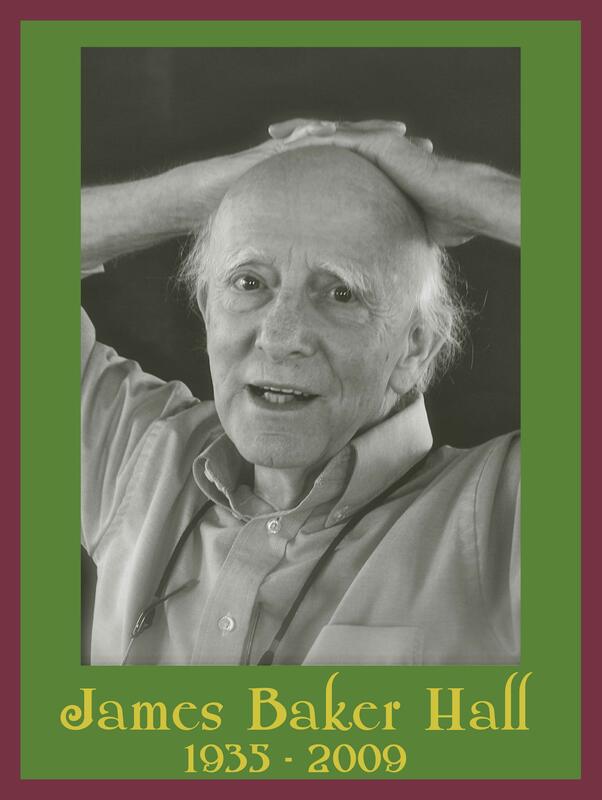 James Baker Hall was born in Lexington in 1935. He attended Henry Clay High School, where he lettered in four sports, worked on his car, and, according to his wife, showed no attraction to literature. He then attended the University of Kentucky, eventually finding his way to the English Department. After graduating, he attended Stanford University on the prestigious Wallace Stegner Fellowship in Creative Writing. When he was 26, he published his first novel, Yates Paul, His Grand Flights, His Tootings, and continued to write and publish short fiction in The Saturday Evening Post, Kenyon, many other periodicals. His writing life co-existed always with his interest in photography. He was a serious photographer, and wrote about photography for Aperture and Esquire magazines. He returned to UK in 1973, where he directed the creative writing program for more than 30 years. During this time, in addition to mentoring hundreds of young writers, he produced another novel, a novel-in-verse, and six volumes of poetry. He served as Kentucky’s Poet Laureate from 2001 to 2003. He died in 2009. For the last thirty years of his life, he lived on a farm on the Harrison-Scott County line with his wife, Mary Ann Taylor-Hall, who's here with many family members tonight. 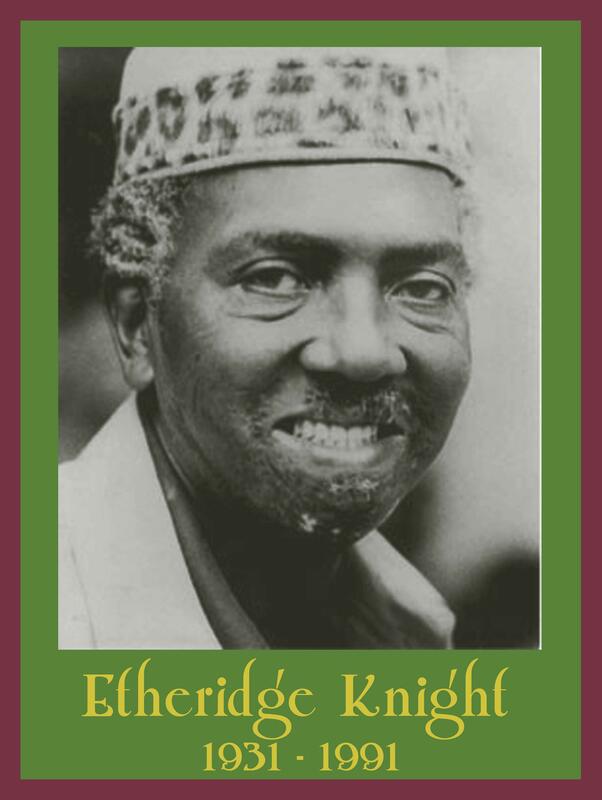 Etheridge Knight is one of the enduring voices of the Black Arts Movement, the poetic complement to the Black Power Movement of the 1960s. He was born in Mississippi in 1931, and at about age 8, moved with his family to Paducah, where he lived most of the rest of his childhood. He dropped out of school at 16, joined the army, and fought in Korea, where he was wounded and became addicted to drugs. To support his habit, he stole money from a convenience store, and spent nearly all of the 1960s in prison. His first book, Poems from Prison, was published while he was still an inmate, and it speaks to the tragedy of incarcerated black men. After his release from prison, he continued to write. He earned Pulitzer Prize and National Book Award nominations for his 1973 volume of mostly love poems, Belly Song and Other Poems. He served as writer in residence at the University of Pittsburgh and at the University of Hartford. He received honors from the Guggenheim Foundation and the National Endowment for the Arts. It wasn't until age 58 that he earned his bachelor's degree; a year later, in 1991, he died of lung cancer. 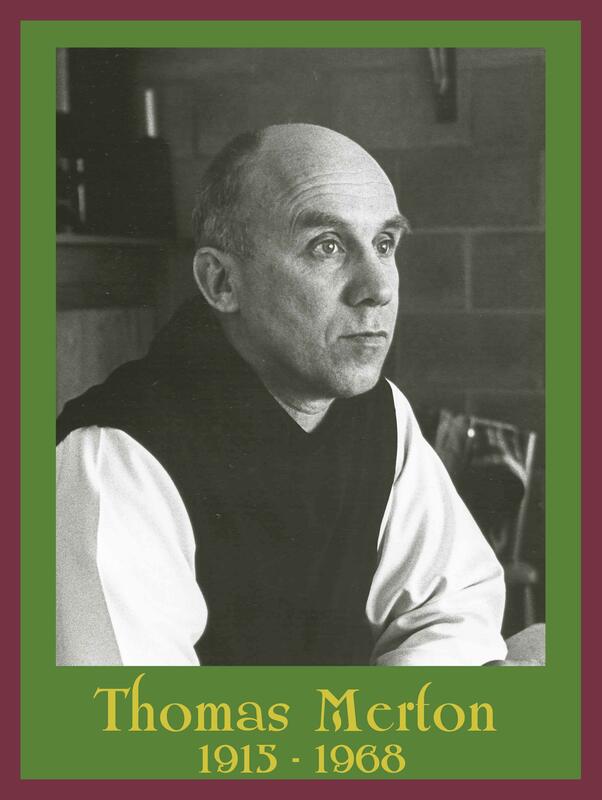 Thomas Merton is the only Hall of Fame member who is not native to the United States. He was born in France in 1915. By his 17th birthday, had suffered the loss of both of his parents. He moved permanently to the U.S. a couple of years later, attended Columbia University, had a spiritual crisis, converted to Catholicism and in 1941, at age 26, entered the Abbey of Our Lady of Gethsemani in Kentucky and became a Trappist monk. In 1948, while at Gethsemani, he published The Seven Storey Mountain, a memoir of his early life and conversion. It became a best-seller. He went on to become arguably the most important Catholic writer of the 20th century, transitioning from a fundamentalist Catholic and ascetic uninterested in the material world to an anti-war activist and champion of inter-religious dialogue. In 1968, he traveled to Thailand for a conference and was electrocuted by a faulty wire in his hotel. He died, in fact, on the 27th anniversary of his entrance into Gethsemani. His papers now reside at Bellarmine University in Louisville. 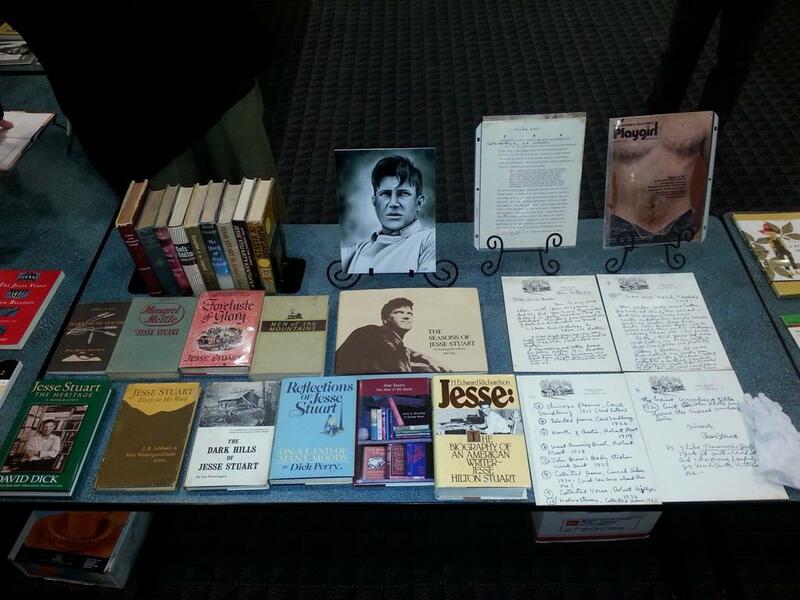 Jesse Stuart was a writer of tremendous quality and also one of the most prolific writers in the history of Kentucky. He published 2,000 poems, 460 short stories and more than 60 books. Born in Greenup County in 1906, he was the son of tenant farmers. He went to Tennessee for college, but returned afterward to his Kentucky home, where he taught school and eventually became superintendent of schools. All the while, he wrote. 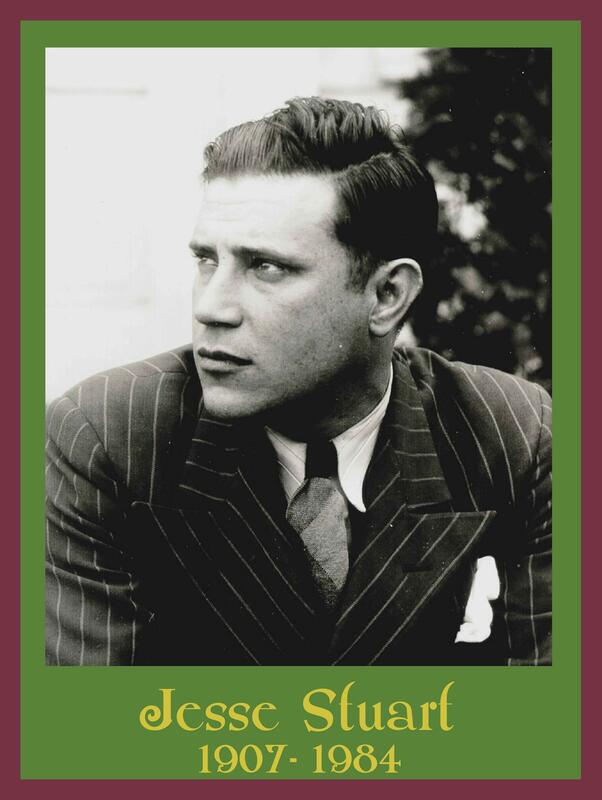 His best known works include his poetry book, Man with a Bull-Tongue Plow, published in 1934. He also wrote the novels Trees of Heaven and Taps for Private Tussie, which sold a million copies during WW II. His autobiographical account of life as a rural educator was considered a classic in education circles: The Thread that Runs So True. Before his death in 1984, he created a Foundation that still operates and bears his name. Thomas D. Clark was interviewed in his Lexington home by Linda Beatty on July 12, 1991. James Baker Hall was interviewed at his home in Sadieville KY on July 11, 1991 by Linda Beatty. Our thanks to the UK Libraries for supplying us with this historic audio from their oral archives. The Kentucky Writers Hall Of Fame at the Carnegie Center For Literacy And Learning welcomes four new members Wednesday night. The hall was created to celebrate Kentucky’s rich literary heritage and to recognize outstanding writers whose work reflects the character and culture of the Commonwealth. Lexington’s Carnegie Center for Literacy and Learning held its fourth annual induction ceremony Thursday for the Kentucky Writers Hall of Fame. Writing and literature will be the subject of a local awards ceremony Thursday. A new lineup up of inductees will join the Kentucky Writers Hall of Fame pantheon this month. And 2016’s list branches out to include the hall’s first songwriter. Lexington’s Carnegie Center for Literacy and Learning recognized several Kentucky authors for its annual Writers Hall of Fame Wednesday.